“It has long been said that travel ‘broadens the mind’. Now new evidence proves that jumping on a plane will not only make you smarter, but more open-minded and creative. 1. Travel gives us a sense of accomplishment: exposure to different languages and culture. Moving out of our comfort zone can be frightening but also invigorating. We are flexing our inner strength and sense of self. 2. We learn more about ourselves – we may open our palate to new tastes and our mind to new experiences. We may find that what we like and dislike has changed as we experience new activities and people. In learning more about ourselves we also open ourselves better understand others. 3. We become more interesting – as we travel, we learn more about new places and people of the world and have great stories to share with others. 4. Travel gives us perspective – we can easily become consumed in our own small world; our friends and families, our triumphs and challenges. When we travel, we open to something much larger and may realise that we often worry about the small stuff and may find more gratefulness for what we do have and have taken for granted. As George Santayana wrote in his essay, The Philosophy of Travel, “There is wisdom in turning as often as possible from the familiar to the unfamiliar; it keeps the mind nimble; it kills prejudice, and it fosters humor. Romantic poets inaugurated an era of travel because they were the great apostles of open eyes. Buddhist monks are often vagabonds, in part because they believe in wakefulness. And if travel is like love, it is, in the end, mostly because it’s a heightened state of awareness, in which we are mindful, receptive, undimmed by familiarity and ready to be transformed. That is why the best trips, like the best love affairs, never really end”. I am leading a small group to North India in October 2013. If you are interested in travelling or finding out more about the tour contact Zoe at Peregrine Travel . 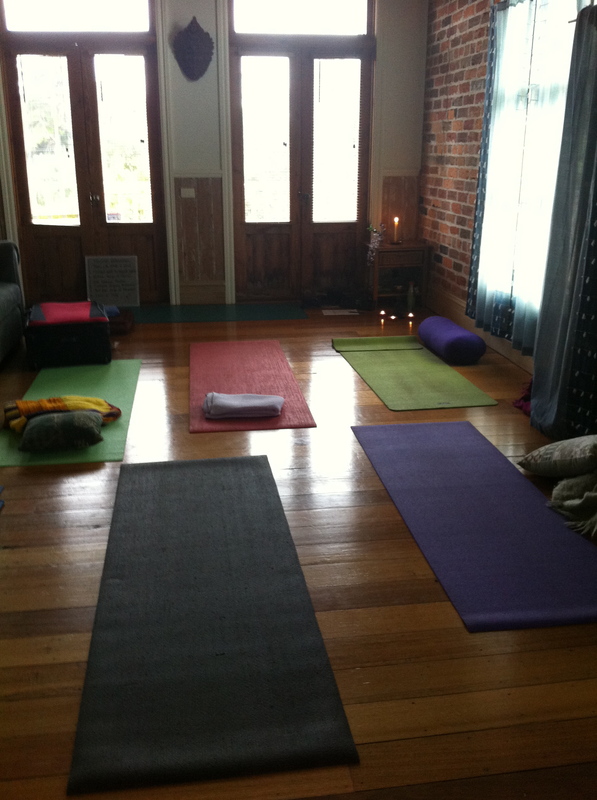 I would like to thank the eight wonderful woman who attended my recent Peninsula Yoga and Wellness retreat. 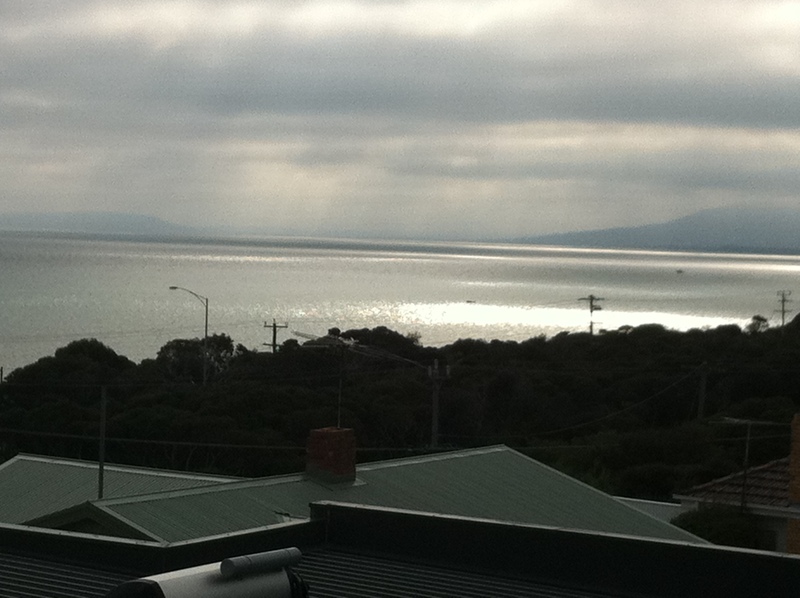 We stayed in a wonderful house overlooking the bay, just minutes walk to the front beach. The weather was mild and the pace for the weekend, low key and relaxed. We began each morning with pranayama and sun salutations then concluded the sessions with works of inspiration that conveyed feelings of gratitude and awareness. There was a guided antar mouna (Inner Silence) meditation on the beach which was truly divine. A gentle rain fell on our upturned faces as we opened our hearts and minds to whatever the day would bring, in Prana Mudra. Our OM chanting caused a passing dog to stop and look, though he/she kept a respectful distance from our group. 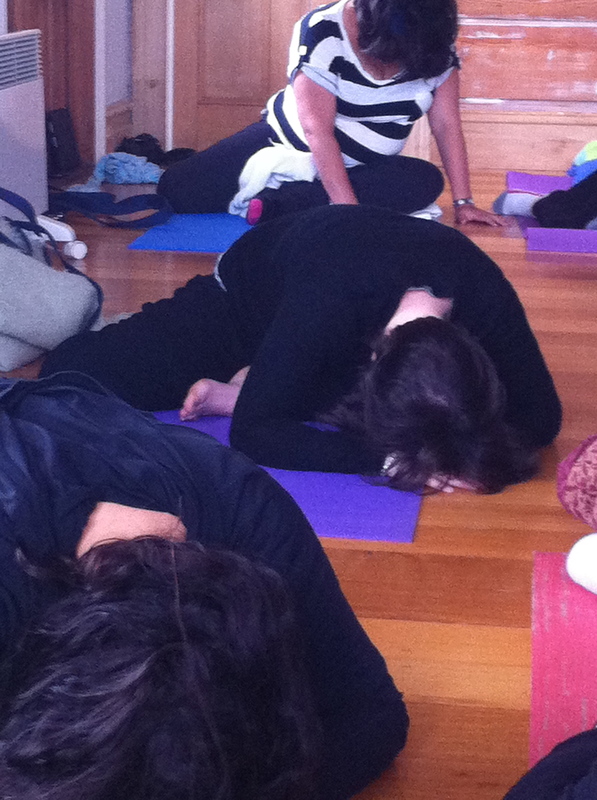 Our afternoon sessions explored kriya practices and sound, with a session on hip openers and restorative postures. We enjoyed home cooked leftovers (from the previous evening meal) for lunch and most enjoyed a lazy afternoon nap before heading to the Peninsula Hot Springs for an evening meal and private bathing. On the last morning we went back to the hot springs for a traditional turkish bath in the Hamam. What an amazing experience! We OM’d, exfoliated, massaged and generally nurtured each other. I highly recommend the experience – it was bliss. 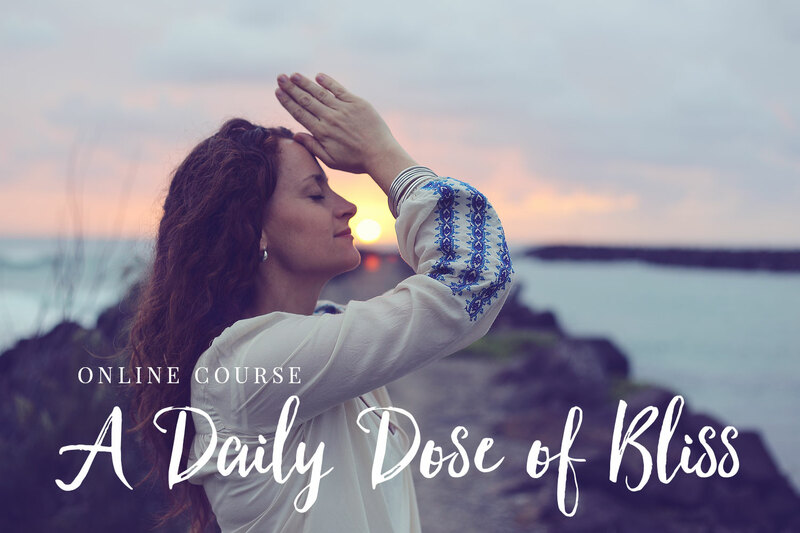 To be away from our usual routine and daily demands can help to create a shift in priorities and allow us to enter back into our lives with a new sense of ourselves and who we want to be. Time away – just for ourselves is so important or we become depleted and sometimes resentful. A retreat helps us to fill ourselves up so that when we give, we give from our overflow. See if you can think of other things that fill you up (time in the garden, a walk in nature, time at the beach) and bring a little more into your life. Remember giving to yourself, benefits all those around you. Took me a while to get back into the swing of reality! I had such a beautiful weekend, thank you again for your time, love and peaceful energy. You are warmly invited to attend a weekend yoga and wellness retreat in October on the Mornington Peninsula.I have booked a beautiful house in Rye which has wonderful oceans views, just a few minutes walk from the beach.The weekend will include yoga sessions, beach walks, time at the Peninsula Hot Springs thermal pools, accommodation and meals (excluding Saturday lunch). If you have a preference for a room or bed when booking please let me know. I have also arranged a fun workshop in the Hamam (Turkish steam bath) at the Hot Springs for Sunday morning @ 10am (see the link below for details). This is optional. Cost : $310 p/p (or $390 if you take up the Hamam workshop and unlimited public bathing on Sunday). A $100 non-refundable deposit is required to secure your booking with balance due by 7th October. Places are limited to 8-10 guests, so book early to avoid disappointment.